Mizyaan is a popular perfume by Ajmal for women and men and was released in 2009. The scent is spicy-oriental. The longevity is above-average. It is still in production. These days i am testing a lot of Ajmal Perfumes. Starts with Nice Sweet Smell with of Notes with Floral mixed Spices slowly turns towards Floral Musky as Spicy Notes fades away finally in the end Woody Notes & Amber Comes to play. 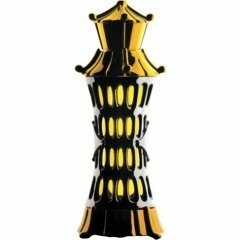 Mizyaan means Beautiful in Arabic, As name suggests its a Beautiful Perfume Oil and comes in Beautiful Perfume Bottle. Quality, Presentation, Bottle Shape is Good & Worth its Humble Price. Projection & Longevity is Good considering that its Oil not Spray. Write the first Review for Mizyaan!